When this card attacks a Leader Card, you may choose 1 card in your life and place it in your Drop Area. 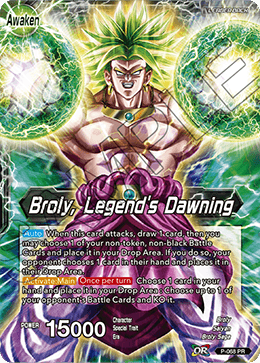 If you do so, place up to 3 cards from the top of your deck in your Drop Area, then your opponent chooses 1 card in their hand and places it in their Drop Area. 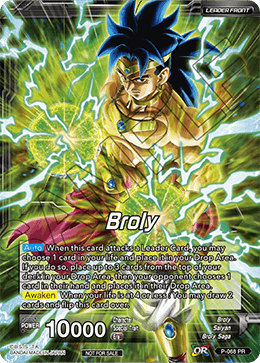 When this card attacks, draw 1 card, then you may choose 1 of your non-token, non-black Battle Cards and place it in your Drop Area. If you do so, your opponent chooses 1 card in their hand and places it in their Drop Area. Choose 1 card in your hand and place it in your Drop Area : Choose up to 1 of your opponent's Battle Cards and KO it.